7 of the world’s weirdest cakes! You might think some of the things your customers request is pretty out there. Well, you ain't seen nothing yet. 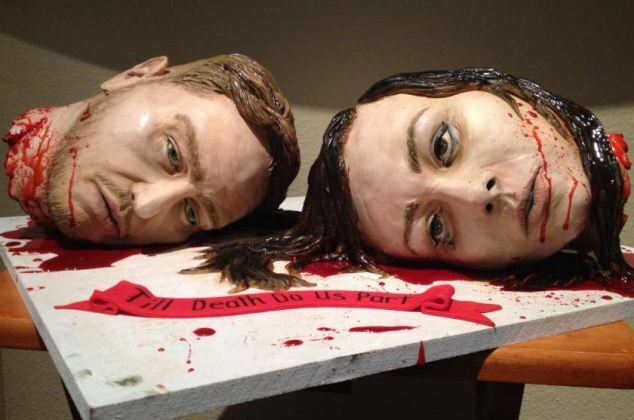 From the weirdest wedding cakes to the latest foodie trends, we've rounded up some of the strangest cakes you're ever likely to see. Looking for a new way to get your five a day? Grab a salad cake - they're massive in Japan. 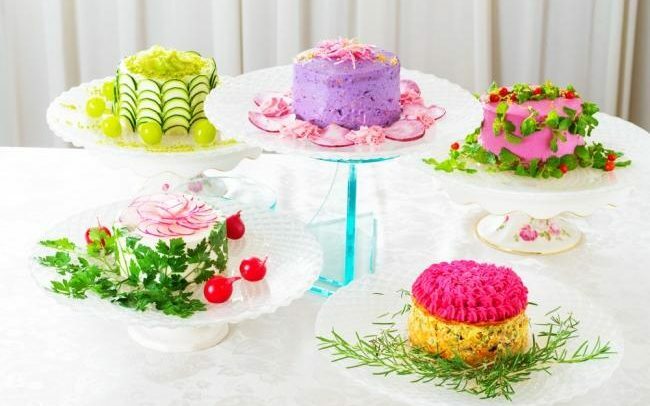 The delicious looking cakes are made by blending whole vegetables and soybean flour to create a spongy texture and cream cheese or tofu is used for the icing. These low-carb, gluten-free cake actually contain no sugar. Hmmm, not sure. If you haven't heard of the water cake, where the heavens have you been? 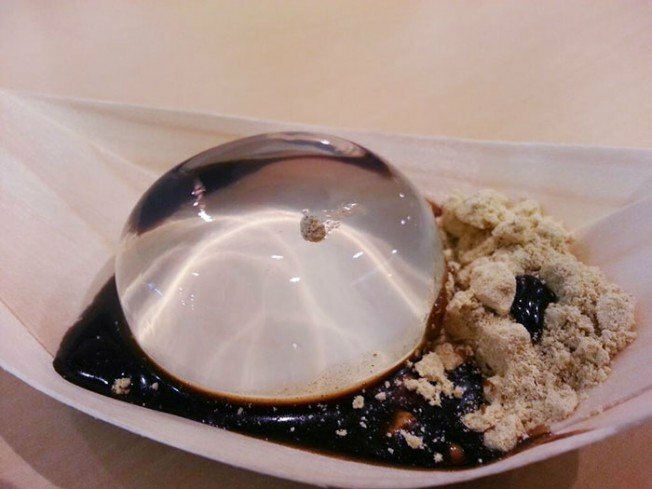 From the foodies of Japan to the hipsters of New York - every self-respecting cake lover is lining up to try this strange new delicacy. How the water cake is put together is actually a closely guarded secret, but we do know it's served with a heavily roasted soybean powder and a brown sugar syrup. And the magic part? 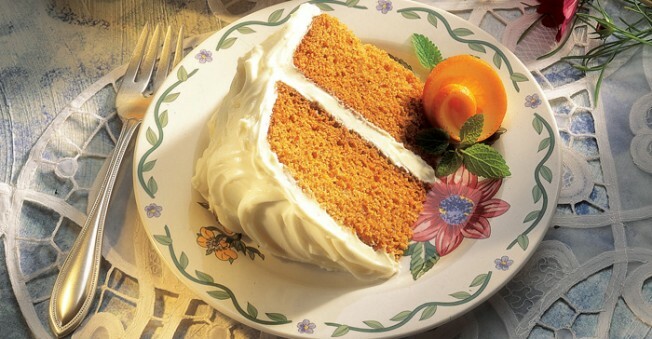 If you don't gobble it down in 30 minutes, the cake simply... disappears. An American couple treated their wedding guests to an actual visual depiction of their vows... and what a gruesome sight it was to behold! We can't help but be impressed by the artistry involved in making this cake though, it's so unbelievably realistic. The cake was in fact made by the bride herself - as a gift for her horror movie loving hubby. Check out her site. 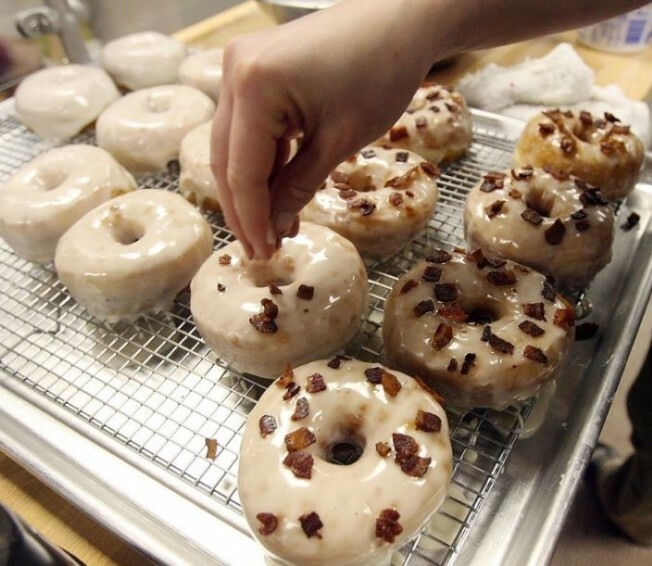 Bacon makes everything better, doesn't it? That was the exact thinking behind several New York delis happily sprinkling their caramel doughnuts with the good stuff. And finally, the tomato soup cake is, apparently, a bit of an institution. Less of a fad and more of a quirky tradition, rumour has it this unusual cake first appeared on the scene back in the 1920s. It's usually made with a little cinnamon, some cloves and some raisins. Sounds like it's worth a try! 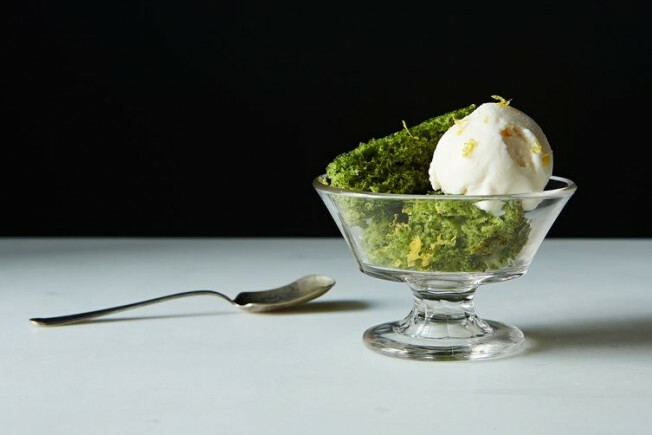 What's the weirdest cake you've ever been asked to make? Leave a comment below.